Frank Stout was born in Lynn Massachusetts in 1926. He was chair of the Art Department of Marlboro College from 1966 until 1990 when he retired. 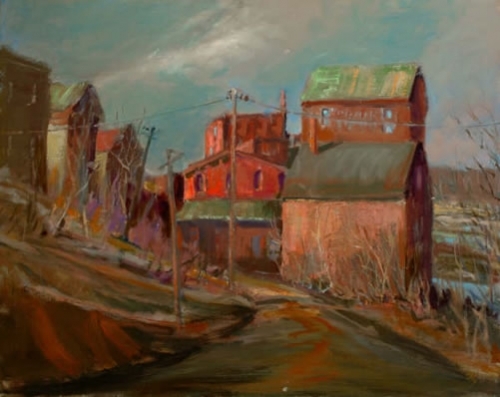 His work has been exhibited in many venues, such as the National Academy and School of Fine Art, The Brattleboro Museum, The Springfield Museum, The Wichita Museum, The Queens Museum, and The Painting Center. He has received the H. W. Ranger Award in painting in 1982 . Reviews of his exhibitions have appeared in Art News, The New York Observer, and The New York Times.